Colorado Rockies all-star outfielder Charlie Blackmon swings against the Arizona Diamondbacks during a spring training game in Scottsdale, Ariz. The Rockies are looking to get back in the postseason behind a lineup that features Blackmon, last year’s NL batting champion. Colorado Rockies all-star third baseman Nolan Arenado swings against the Arizona Diamondbacks during a spring training game in Scottsdale, Ariz. The Colorado Rockies brought back popular clubhouse leader Carlos Gonzalez on a one-year deal. DENVER – Charlie Blackmon didn’t need much baiting: The lure of a fishing contest in the middle of spring training was incentive enough. So the quirky Colorado Rockies outfielder/avid outdoorsman slipped into some waders and grabbed his fishing rod for a game to see which player could most accurately cast at cans set up on the turf. Next on the line is an even more prized catch – reeling in a postseason berth for a second consecutive season. The Rockies are driven by an 11-8 loss to Arizona in the National League wild card game that halted their season. Hard to argue. Manager Bud Black’s lineup features an NL batting champion in Blackmon , along with a power-hitting, smooth-fielding third baseman in Nolan Arenado. The team added a veteran catcher in Chris Iannetta and brought back popular clubhouse leader Carlos Gonzalez on a one-year deal. They won’t be sneaking up on teams this season, especially in a formidable NL West division that got better across the board. To accompany all that offensive firepower, the Rockies revamped their relief corps by signing Wade Davis ($52 million for three years) and Bryan Shaw ($27 million for three years), along with re-signing Jake McGee ($27 million for three years). About the only questions hover around the starting rotation, where a lot will be expected out of second-year players Kyle Freeland and German Marquez. Veteran right-hander Chad Bettis keeps showing signs of returning to form after going through treatments for testicular cancer, while Jon Gray will be counted on to be the ace of the young staff. “We need to take one step at a time and make sure we’re all getting ready and take care of what we need to take care of,” Arenado said. BEST CASE: Colorado has never won the division. This could be the year the team challenges the Los Angeles Dodgers for NL West supremacy. WORST CASE: Colorado has never been to the postseason in back-to-back years. This team could stumble back if the young pitching staff doesn’t find a rhythm. Or if the Rockies rest on their past achievements. Or read their press clippings (they’re a trendy pick by many). “It makes me hungrier,” Arenado said. BOUNCING BACK: Outfielder/first baseman Ian Desmond was limited to 95 games by injuries in his first season with Colorado. He wound up hitting .274 with seven homers. This spring, he’s been tinkering with his swing. 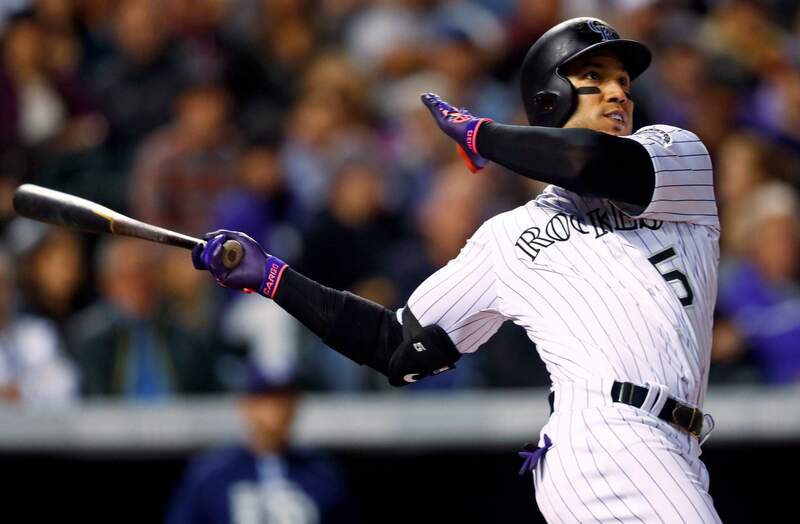 “Hopefully this allows me to get to the barrel a little bit further out front and put the ball in the gaps and use Coors Field to an advantage,” Desmond said. BOUNCING BACK, II: Trevor Story hit 24 homers last season, but also struck out 191 times. He spent time working out with Arenado in the offseason. 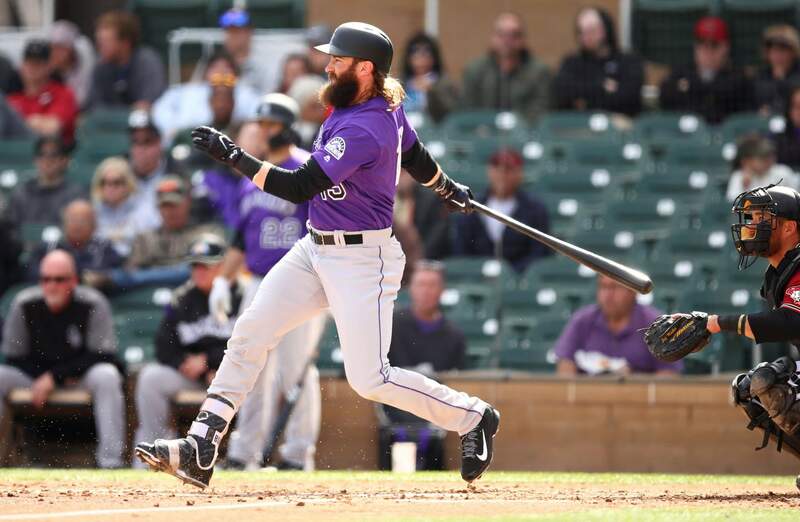 LEADING OFF: Blackmon is coming off a splendid season where he won the NL batting title with a .331 average. His 102 RBIs from the leadoff spot set a major league record, two more than Darin Erstad’s total with the Angels in 2000. Don’t be surprised to see Blackmon in the No. 3 spot in the order at times in 2018. “With Charlie’s aptitude and how he sees the game and his role in the lineup, it’s easy for him. He’s sharp baseball-wise,” Black said.